Successfully Added Pure 3 Android Phone - Android 7.0, Octa Core Helio Chipset, 4GB RAM, 4G, 5.7 Inch Screen, 4000mAh Battery (Red) to your Shopping Cart. The Pure 3 is the latest Android phone from smartphone newcomer M-Horse and was released at the MWC in Barcelonan. With 4GB of RAM, a Helio P23 chipset and the competitive price tag is one of the cheapest phones with the Helio octa-core chipset you are likely to find. The phone runs on Android 7.1 and offers all the latest features in security and usability. A large 5.7-inch display that boasts 1440x720 resolutions makes for good viewing and with the powerful hardware setup, you'll be able to enjoy all the latest games and apps in smooth silky graphics without dropped frames or lag. With 4G and supporting a wide spectrum of frequencies, you can enjoy breathtaking mobile data that allows you to stream HD movies while on the go. The Pure 3 also has 32GB of internal storage and the option to expand this with a micro SD card adding up to 128GB additions space. So if you have a library of entertainment you'll find the Pure 3 has plenty of room for all you're media and storage needs. A double front and double rear camera mean you're in for a treat when it comes to snapping pics. You can now get great low-light shots, even selfies and with HD video recordings you can capture those special moments in life with great clarity and detail. 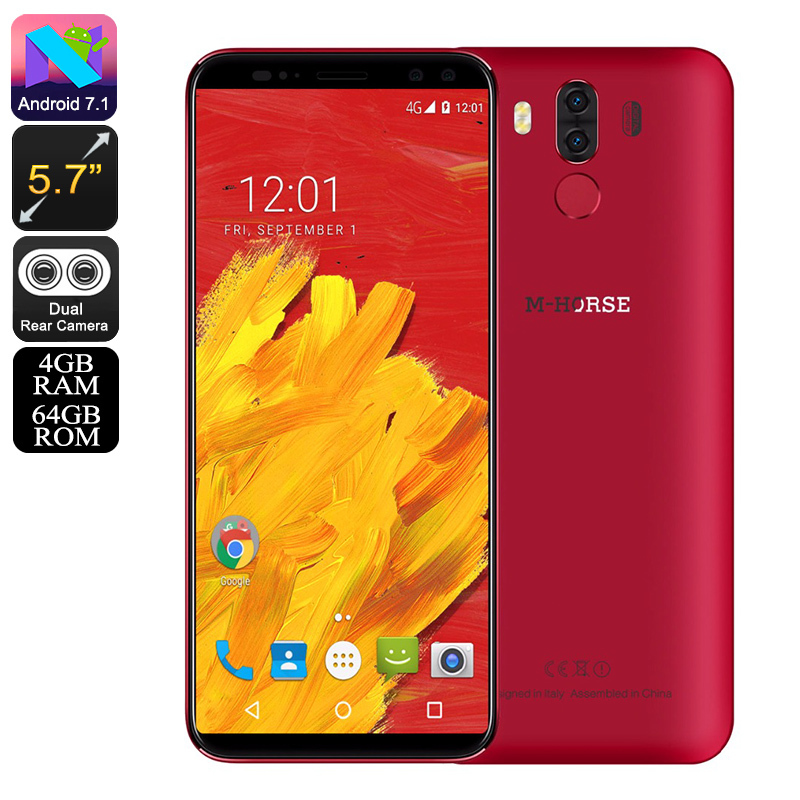 The Pure 3 smartphone comes with 12 months warranty, brought to you by the leader in electronic devices as well as wholesale cheap phones and accessories..